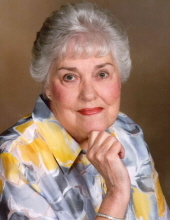 Mrs. Linda Howell Edmiston, age 78 of Wilkesboro, passed away Tuesday, February 5, 2019 at Woltz Hospice Home in Dobson. Funeral services will be held 3:00 PM, Saturday, February 9, 2019 at First United Methodist Church Chapel of North Wilkesboro with Dr. Tim Roberts officiating. Burial will be in Scenic Memorial Gardens. The family will receive friends from 6:00 until 8:00 Friday evening at Reins Sturdivant Funeral Home. Mrs. Edmiston was born October 14, 1940 in Wilkes County to Harvel Pearson Howell and Vetra Dare Eller Howell. She graduated from Wilkes Central High School and attended Mitchell College. Mrs. Edmiston retired from Ithaca Industries. In addition to her parents, she was preceded in death by her husband; Daniel Wellborn Edmiston. She is survived by a son: John Edmiston and wife Sandy of Wilkesboro, two grandchildren; Daniel Sean Edmiston and Logan Charles Edmiston both of Wilkesboro and a sister; Ella Rhodes and husband Bill of Wilkesboro. Flowers will be accepted or memorials may be made to Woltz Hospice Home 945 Zephyr Road Dobson, NC 27017. To send flowers or a remembrance gift to the family of Linda Howell Edmiston, please visit our Tribute Store. "Email Address" would like to share the life celebration of Linda Howell Edmiston. Click on the "link" to go to share a favorite memory or leave a condolence message for the family.